Food and beverage company Del Monte Pacific has a long and successful history in the Philippines, all beginning with the humble pineapple. 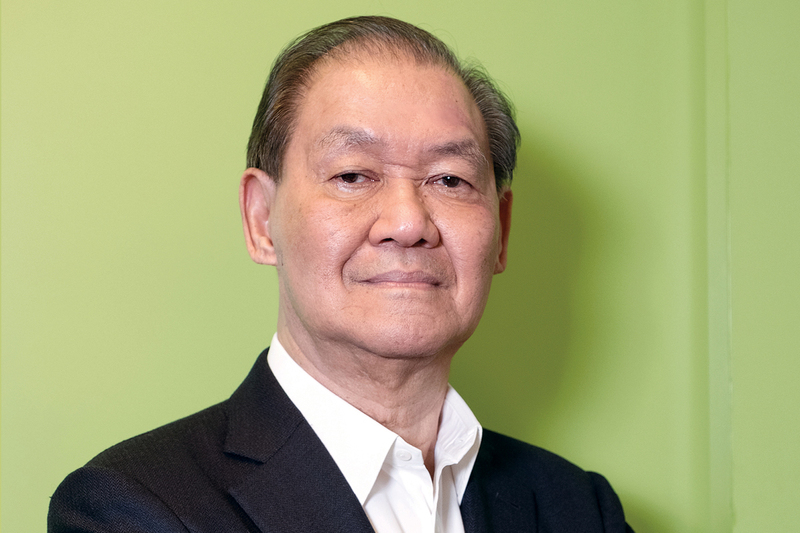 Chair Rolando Gapud shares what brought him to the business and what his most satisfying accomplishment has been so far. Del Monte Pacific Limited (DMPL) Chair Rolando Gapud has a style of leadership that encourages workers to share their ideas with him. DMPL is a Philippines-based food and beverage company with 16 factories and more than 5,000 employees around the world. “We have a process where we are always on the lookout for talent,” Rolando says. It is the people who work for the company that Rolando is most proud of when it comes to the organisation. “I always say these guys work their backs off,” he says. In 2014, DMPL acquired the consumer products brands of US-based Del Monte Foods in a lucrative billion-dollar deal. For Rolando, it was one of his most satisfying achievements at the business to date. “Del Monte Pacific was only a $US400 million company and Del Monte Foods, the original owner of the Del Monte brand, was, at the time we acquired it, over US$1.6 billion,” he says. The deal saw DMPL acquire four massive food brands including Del Monte, S&W, Contadina and College Inn – with products ranging from canned fruit and vegetables to pasta and juices. The Del Monte brand originated in the US during the late 1880s, and in 1926 it established operations in the Philippines – what is now DMPL. In the 1920s, pineapple seeds were brought into the Philippines from Hawaii, marking the beginnings of a thriving canned fruit and vegetable business. Now, DMPL owns 25,000 hectares of contiguous land planted with pineapples and has one of the largest integrated pineapple processing plants in the world. Rolando found his way to Del Monte after holding several positions in finance and real estate. Some of his roles included Managing Director of Bancom International Holdings and Chair and CEO of the Security Bank and Trust Company (now Security Bank) in Manila, Philippines. “We were the first private investment bank in the Philippines and arguably in some other countries in the ASEAN as well,” he says. Because of his dealings with several businesses, Rolando wasn’t fazed by the transition to the food and beverage industry. “Consumer goods weren’t foreign to me because I had seen them before through my clients,” he notes. He further explains why he decided to make the leap to DMPL. 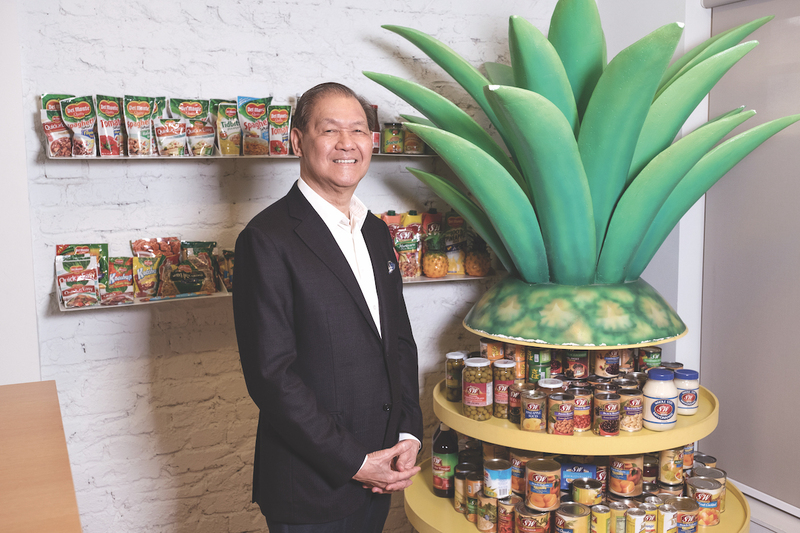 “The family that acquired Del Monte Pacific around 10 years ago were close friends of mine and I had previously advised them on business matters,” he says. When the massive acquisition was complete, Joselito says it drove up the financial side of the business, with 75% of the company’s sales now based in the US. “It opened up the largest consumer market in the world and, of course, it’s where the original brand was based,” he adds. While DMPL now has a larger sales base, Rolando notes that it still needs to keep up with consumer trends related to canned foods. “You have millennials, for example, not favouring food in cans,” he notes. With DMPL having been in operation for more than 90 years, Rolando attributes its success to having a quality product. “For our fruits and vegetables, we start with the farmers themselves,” he says. Rolando adds that the company’s biggest competition are private labels sold at big retailers such as Walmart and Costco. “We have to compete against them in terms of quality products, there’s no question about that,” he admits. Del Monte Pacific’s core values are listed in the acronym ‘Choice’.